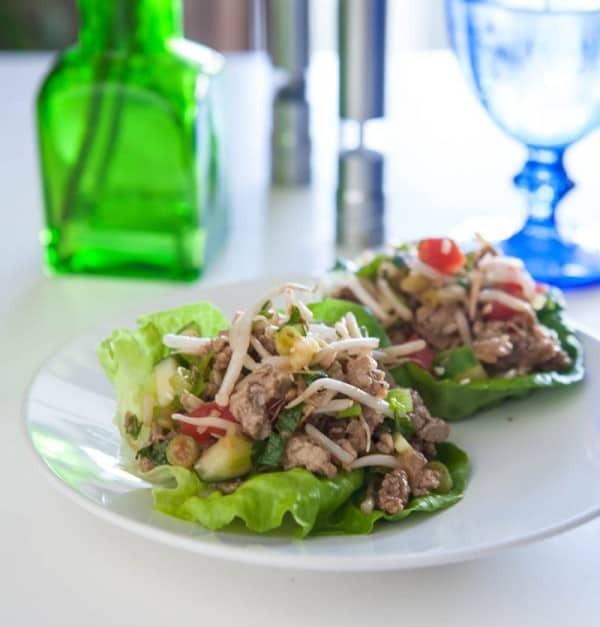 Lettuce wraps is a recipe that my family loves, but one that I don’t make that often. I should make it more, it’s so simple and easy to make. In the past I’ve made more of a P.F. Changs copycat recipe, but this time I wanted to make something a little more interesting that included more vegetables. So for these lettuce wraps, I started with ground chicken and then seasoned it with all the Asian flavors we love like hoisin sauce, soy sauce and sesame oil. Then I added garlic and ginger and onion. For the veggie topping, I combined diced cucumbers, tomatoes, green onions, bean sprouts, fresh cilantro and ginger dressing. These fresh veggies mixed with the ginger dressing compliment the ground chicken so well, and it’s healthy! 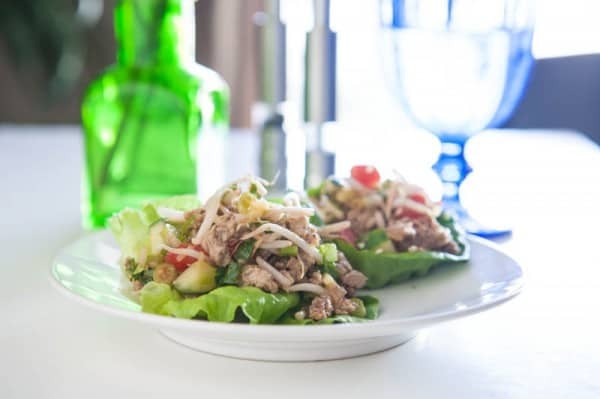 To serve, I just scoop a little found chicken in a big Boston lettuce leaf and then top it with the veggie mixture. To make these spice, serve with a little sririachi. Combine ground chicken, onion and garlic and sesame oil in a medium skillet over medium heat. Brown meat, cooking for about 10 - 12 minutes. After meat has browned, add fresh grated ginger, soy sauce and hoisin sauce. Mix well and turn heat to low. Combine all ingredients for the topping in a large bowl and mix well. 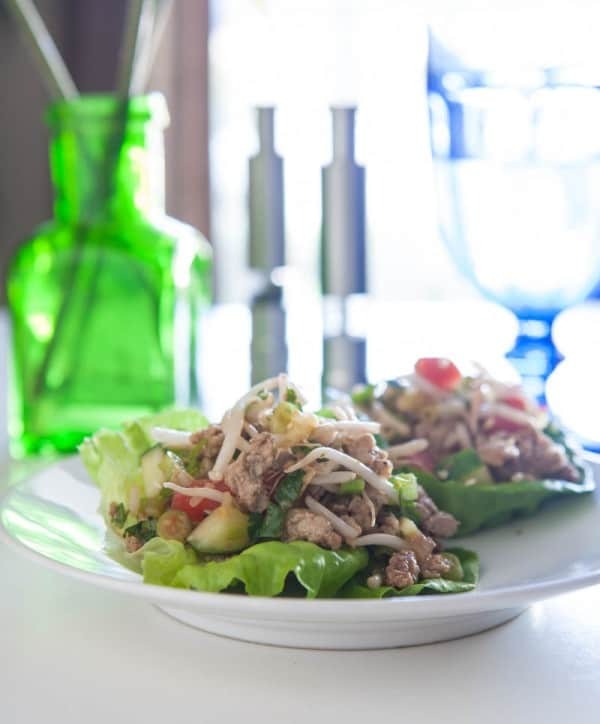 Serve ground chicken topped with bean sprout mixture in a Boston lettuce leaf. Drizzle with sriracha if desired. Enjoy!